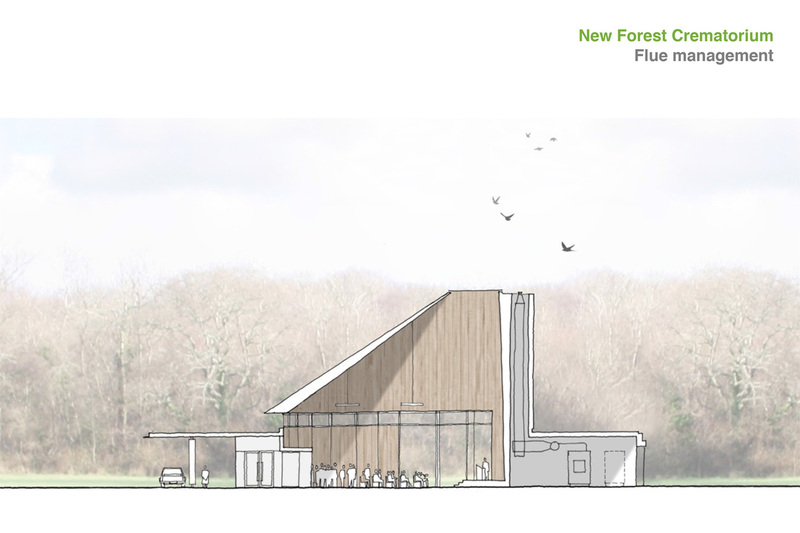 Following an invited competition, Design Engine have been appointed to develop a scheme for a new crematorium near New Milton in the New Forest. The New Forest Crematorium Company has identified significant local demand for a new high quality crematorium against the backdrop of research which shows that, as a nation, we now prefer, in the main, to be cremated rather than buried (1960: 34.7% preferred to be cremated; 2008: 73.4% preferred to be cremated). The New Forest also offers a uniquely peaceful and spiritual surrounding in which to carry out this service and enables those attending to feel that they are close to nature at what can be a distressing and difficult time. The site selected brings an opportunity to work with this wonderful backdrop and hopefully bring comfort to the bereaved through the carefully considered design and overall setting. Public consultation is already underway prior to formal submission of an outline planning application to New Forest District Council.